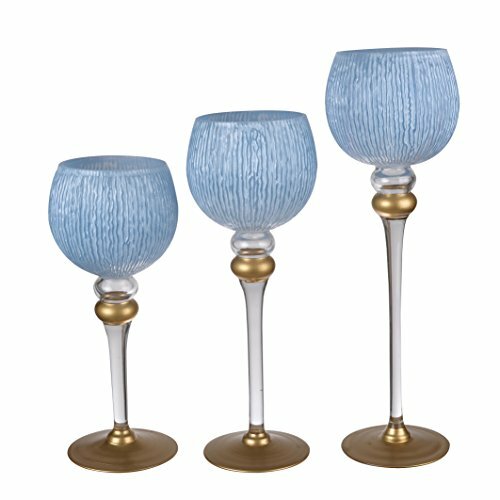 Elevate your decor when adding this set of three candleholders in blue and white to a tabletop or mantle. This multicolored set is crafted with delicate glass for an elegant style. Measures Large: 5"W x 5"D x 16"H Medium: 5"W x 5"D x 14"H, Small: 5"W x 5"D x 12"H.
If you have any questions about this product by A&B Home, contact us by completing and submitting the form below. If you are looking for a specif part number, please include it with your message.